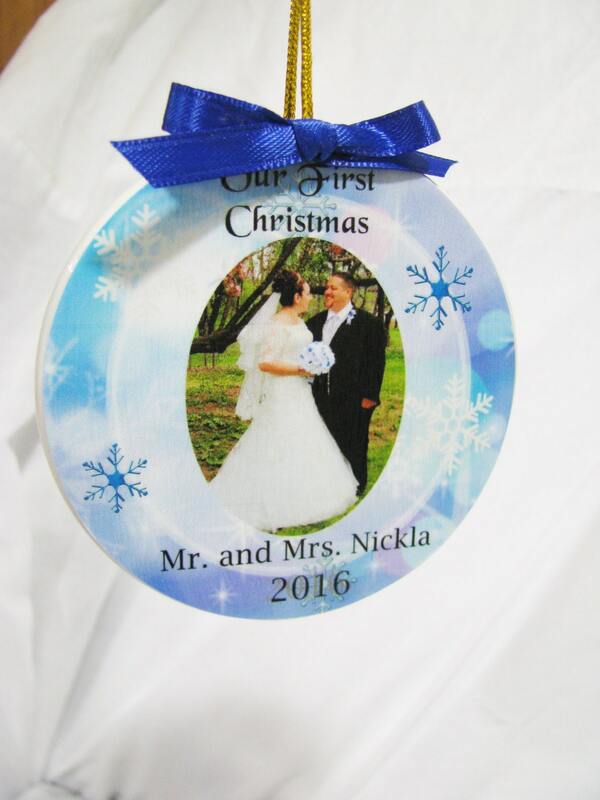 Personalized Wedding Ornament Mr and Mrs. Your first Christmas together is really special! And I love being a part of that special time with a special Christmas ornament. 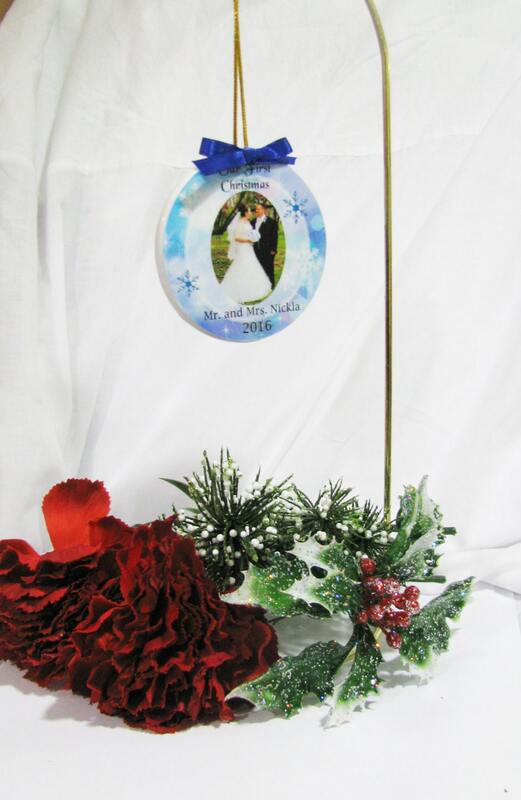 This is also the perfect gift for the newlyweds! I have given these as gifts at summer weddings and the bride and groom look forward to their first Christmas when they can use them. 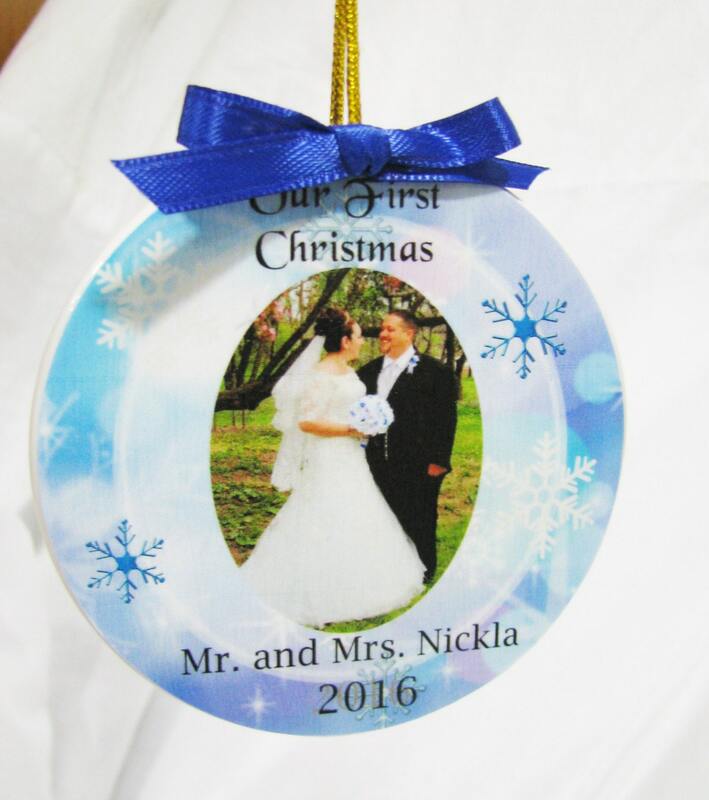 It is a unique gift as many people aren't thinking about Christmas at their wedding. 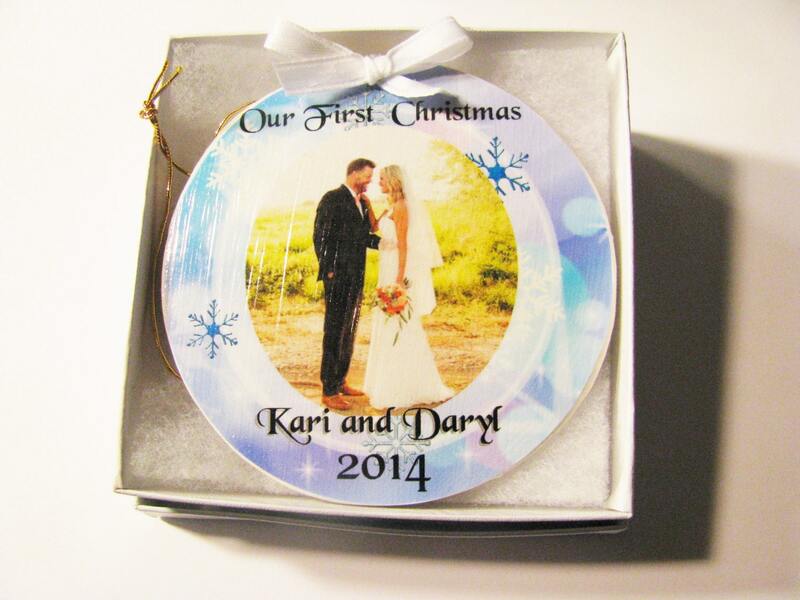 And even at Christmas, they might not be thinking of that special ornament to celebrate the first Christmas married! And so many couples already have what they need. Custom work. Can be personalized with a photo. If you don't have a photo, I have a lot of graphics that would work as well. Add their names and date too!